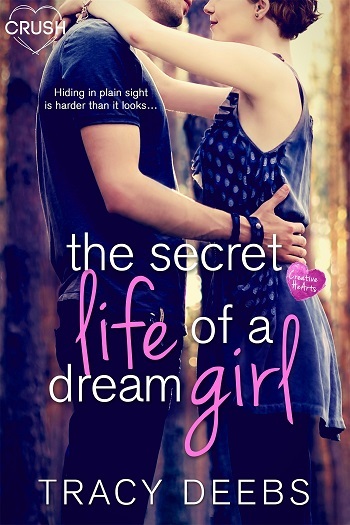 Sloane Whitaker never expected to like living in Texas, but after a few months in the Lone Star State, she has to admit she likes the food, the school, and the boy next door. What she doesn’t like is the fact that half her family is still back in New York. Convincing her dad to relocate to Texas requires making their upcoming visit as perfect as possible. The perfect dinner, the perfect daughter...with the perfect boyfriend. Not a standalone. This is book #2 of the Sloane and Tru trilogy (I believe these are trilogies), the first couple set within the Creative HeArts universe as #1 and #5 (this book) in the series. Creative HeArts is a series of 4 couples interconnecting, each receiving a trilogy of books. The books must be read in order. While I've enjoyed the Creative HeArts series as a whole, Sloane and Tru's first book was my least favorite of the series. However, I believe this was written with more maturity and focus than its predecessor. 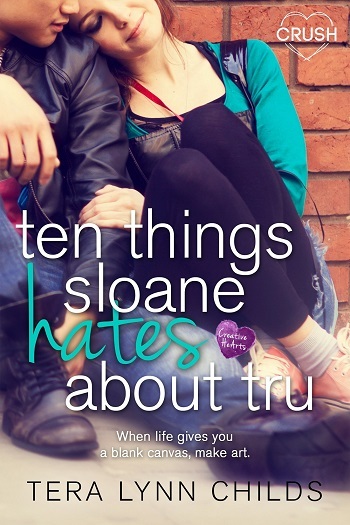 Sloane and Tru are a couple at the beginning of the book, as they had been at the end of the previous installment, only they have some unresolved issues to work through. Sloane wants her family to be together, feeling guilty as if it was her fault they were split between Texas and NYC. Readers knew there was more lurking beneath the surface, for everyone in the cast. This is a slightly darker read in terms of content, focusing on Tru's acceptance of his addiction and why he sought the bottle. I appreciated and applaud the author on tackling this tough subject matter, hopefully helping a younger reader through a similar situation. Many of my issues with the first installment were addressed, with more maturity shown for the subject matter (I felt it was flippantly handled previously). However, there was one thread, while it may play into another couple's book, that was out of place and distracting from the overall direction the author was going. While this thread was woven into the entire book, it seemed to fizzle out and basically be forgotten by the author. In my opinion, it felt forced, unnecessary, and distracting. I was pleased with not only the character development, but the author's growth from one book to the next, and found Falling for the Girl Next Door to be a worthy addition to the Creative HeArts series. I can't wait to see what else is in store for these couples. Young adult age-range: 12+. Kissing. Addiction. For reviews & more info, check out our The Secret Life of a Dream Girl post. 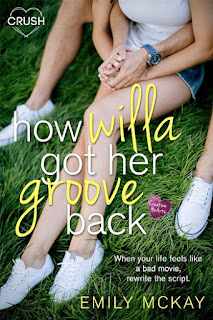 Reviewers on the Wicked Reads Review Team were provided a free copy of Falling for the Girl Next Door (Creative HeArts #5) by Tera Lynn Childs to read and review.